Make selection for your preference of flavor or any combination/mixed case. Original: A perfect blend of vine-ripened tomatoes, pure Italian olive oil, chopped garlic and spices. 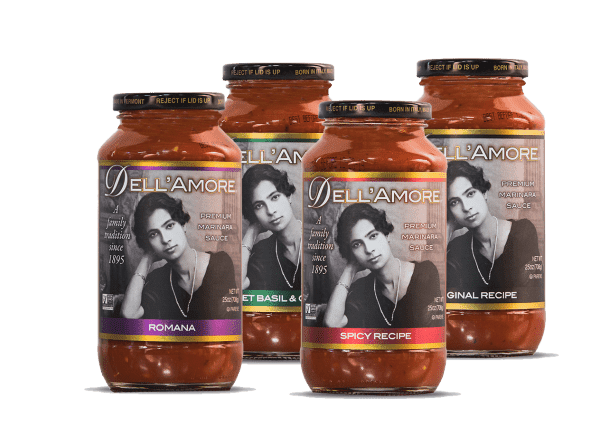 Grandmother Filomena’s famous sauce. Spicy: Some like it hot! 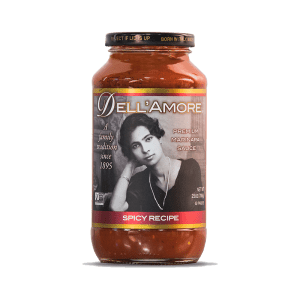 A secret blend of fresh herbs and spices, and great sauce for dipping mozzarella or zucchini sticks. Sweet Basil and Garlic: Fresh basil is a main-stay of Southern Italian cooking and easily recognizable for its fresh, savory flavor. Romana: A hearty blend of tender artichoke hearts, savory capers, tomatoes and spices, perfect for vegetarian lasagna!